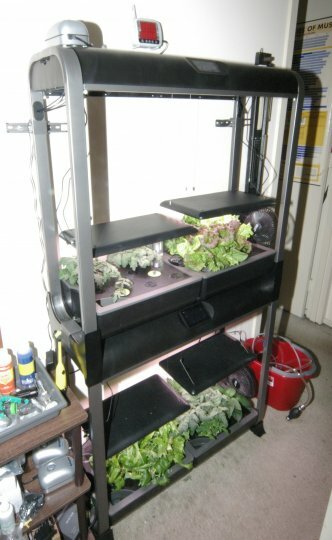 The second picture shows the pepper plants growing in my three Sprout LEDs. 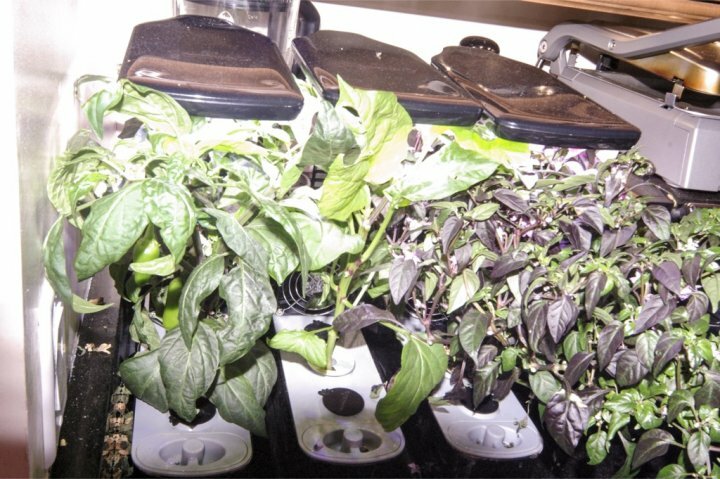 You can see some jalapeño peppers growing in the plant on the left. The plant on the right is the purple super hot plant, it’s producing flowers and peppers though they’re smaller and hard to see. The plant in the middle is the Anaheim pepper plant. It was a stretch to grow it in a Sprout, but it is starting to produce flowers. I may not get peppers though, rookie error. Part of the problem is that the jalapeños and purple super hots had a month head start on the Anaheim plant, so the Anaheim had to fight for space. They’re in my kitchen, which is small, so it would be difficult to move the gardens apart. I could put the Anaheim on the right end, but it might mess with success with the super hots for the sake of a losing venture with the Anaheim. Also, my thinking is that with them close together they utilize the light that spills out the sides of each garden. On the back of each Sprout you can see the fans I installed. Nice pix, thanks for posting! Could you move the Anaheim onto the end, for more physical space? Or space them out more? Looks pretty cramped.